Machine learning With Python - Good Choice? Machine learning is a type of artificial intelligence (AI) that provides computers with the ability to learn without being explicitly programmed. Machine learning focuses on the development of Computer Programs that can change when exposed to new data. Machine Learning is simply making a computer perform a task without explicitly programming it. This means in other words that these programs change their behaviour by learning from data. Machine learning is is the kind of programming which gives computers the capability to automatically learn from data without being explicitly programmed. In today’s world every system that does well has a machine learning algorithm at its heart. Take for example Google Search engine, Amazon Product recommendations, LinkedIn, Facebook etc, all these systems have machine learning algorithms embedded in their systems in one form or the other. They are efficiently utilising data collected from various channels which helps them get a bigger picture of what they are doing and what they should do. Python is a widely used high-level programming language for general-purpose programming. Apart from being open source programming language, python is a great object-oriented, interpreted, and interactive programming language. Python combines remarkable power with very clear syntax. It has modules, classes, exceptions, very high level dynamic data types, and dynamic typing. There are interfaces to many system calls and libraries, as well as to various windowing systems. New built-in modules are easily written in C or C++ (or other languages, depending on the chosen implementation). Python is also usable as an extension language for applications written in other languages that need easy-to-use scripting or automation interfaces. 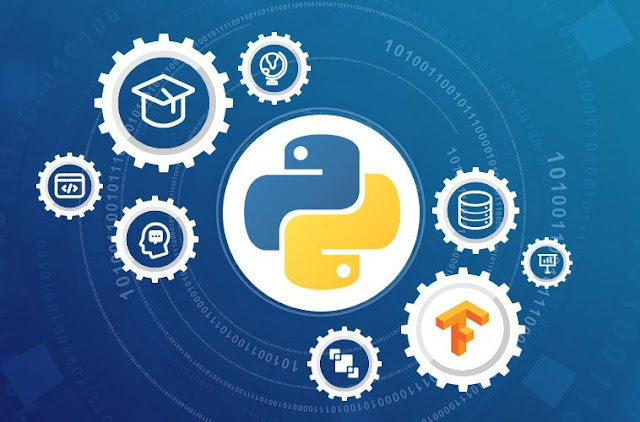 Python is widely considered as the preferred language for teaching and learning Ml (Machine Learning). It’s simple to learn. As compared to c, c++ and Java the syntax is simpler and Python also consists of a lot of code libraries for ease of use. Though it is slower than some of the other languages, the data handling capacity is great. Open Source! – Python along with R is gaining momentum and popularity in the Analytics domain since both of these languages are open source. Capability of interacting with almost all the third party languages and platforms. Python libraries like NumPy, SciPy, Scikit-Learn, Matplotlib are in Machine learning. They are likewise broadly utilized for Implementing Measurable machine learning calculations. Python actualizes understood machine learning ideas, for example, Classification, Regression, Recommendation, and Clustering. Actually, this libraries will clarify such a large number of ideas of python. Python offers an instant structure for performing information mining undertakings on extensive volumes of information adequately in lesser time. It contains a few strategies got past calculations like a straight relapse, strategic relapse, Naïve Bayes, k-implies, K closest neighbor, and Random Forest. in a similar manner, python offers such a large number of edge works. Python contains libraries that push engineers to use updated counts. It redresses known machine learning systems, for Instance, recommendation, gathering, and clustering. In this Method, it is more important to have a short Procedure to machine getting the hang of utilizing python.